Annually, on the St. Nicholas Day, Shakhtar president gives presents to the kids deprived of parental support and warmth. The good tradition started in 2001 from a visit of Rinat Akhmetov and his friend, the composer Igor Krutoy, to several schools and childcare facilities in Donetsk. ‘We were united by one simple thing: if we don’t take care of our parents, what poor children we are, and if we don’t take care of our kids, what kind of parents are we then? Therefore, we tried to help both the elderly and children, - Shakhtar president shares his memories. Shortly after that, the campaign grew to national scale. 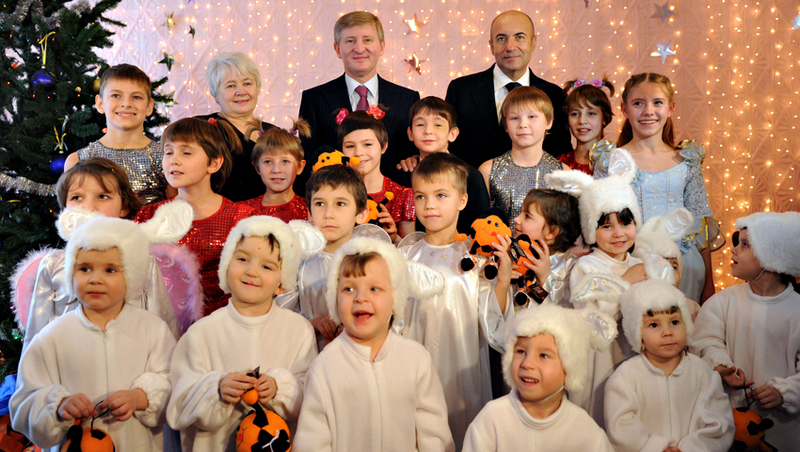 For many years on December 19, Rinat Akhmetov and Igor Krutoy have visited orphanages, boarding schools, health centres and children's hospitals, helping the institutions financially and delighting the kids with Christmas gifts. This year, 5,746 orphans from orphanages and childcare facilities in Donetsk Oblast will receive gifts from Rinat Akhmetov. Souvenirs, stuffed toys, backpacks and personal sets of cosmetic and hygiene items have been prepared for different age groups of children by the Rinat Akhmetov Foundation. Holiday sets for 134,254 more kids from the president of Shakhtar will be distributed among the enterprises of SCM Group. All in all, season gifts for children will be delivered to 140 thousand destinations on the St. Nicholas Day and on the New Year's Eve. For the recent three years, the campaign’s format has been somewhat altered, but its objective and philosophy remain unchanged: to give warmth and care to children. Especially now, when war has entered the lives of many of them, - Aleksandr Vishnyakov, the director of the Rinat Akhmetov Humanitarian Centre, has pointed out.